Gordon Ramsay, known not only for his refined cuisine, but also his TV personality on several hit programs including "Hell's Kitchen," "MasterChef" and "Kitchen Nightmares," has generated world-wide attention and entertained viewers on six continents. The contemporary steakhouse boasts a total of 274 seats including a large bar area, chef's table and private dining room in addition to the main room. 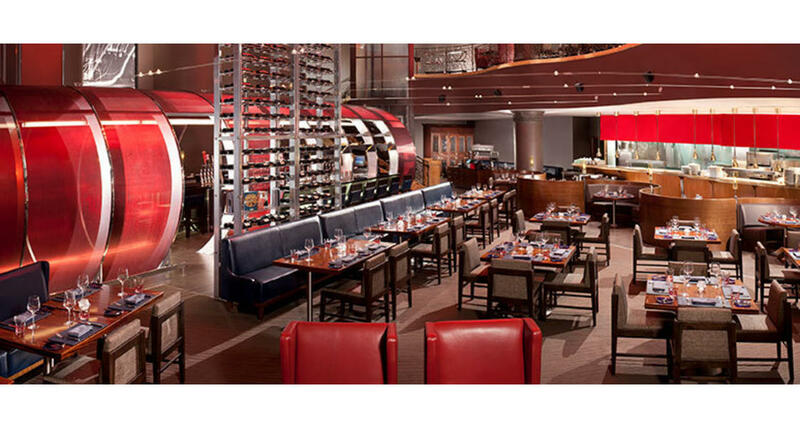 Guests are encouraged to relax in the spacious lounge or enjoy a cozy booth in this ultimate modern steakhouse. This restaurant offers guests a look at the exclusive beef aging program created under the direction of Chef Ramsay and his culinary team. The menu selections range from traditional steakhouse fare with delectable cuts of beef to Ramsay's signature fish and chips and Shepard's Pie. This dynamic new addition to Ramsay's profound collection of restaurants offers the freshest seafood to mouth-watering cuts of beef, French-influenced sides and delicious desserts.